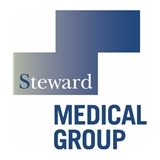 Steward Medical Group-Weston OB/GYN (Weston) - Book Appointment Online! Weston OB/GYN offers personalized care in a private practice setting. With on-site ultrasound, hysteroscopy, endometrial ablation, bladder testing and infertility treatments the practice offers a broad spectrum of care to women of all ages. I have been a paitent of Dr Daly for over 20+ years! 5 children! Very nice office, doctor is so nice and understanding. She tells you all of your options and really talks everything through with you. Highly recommend!! !